• Able2Extract now contains the ability to create PDF documents, making it the most versatile PDF converter on the market. Convert any digital format to a robust PDF file and instantly improve the way you work with important data. 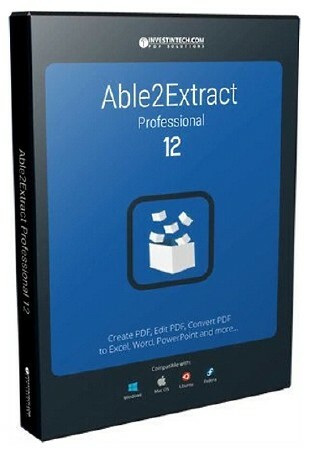 • Able2Extract comes equipped with both automatic and custom PDF to Excel conversion options. You can either opt for instant PDF to Excel conversions or for a more tailored output of your tabular data. Whichever conversion option you use, your data is converted to formatted Excel spreadsheets that can be analyzed. • Able2Extract PDF to Word converter is the PDF converter of choice for Microsoft Office Word users. Convert PDF to DOC, DOCX, RTF, and TXT. Able2Extract 9’s powerful PDF to Word conversion algorithm can transfer PDF content into Standard, Text or Frames output for straightforward editing at any level. 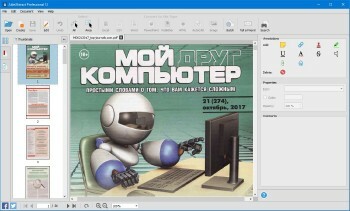 • Achieve professional-level desktop publishing with Able2Extract as part of your workflow. Content intended for professional print that is locked down in PDF files can be accessed once again and made editable to keep publishing material updated and your marketing ad ideas fresh. • Able2Extract can seamlessly be integrated into the CAD design process. CAD drawings preserved in the PDF format can be converted to DWG and DXF and then edited in AutoCAD. From architects to engineers, a wide range of CAD users can easily recover vector graphics and text from PDF. CAD users can specify options for layers, colour palettes, units, and polyline width. • Whether you’re using a proprietary productivity suite like Microsoft Office or an Open Source suite like Open Office, Able2Extract has you covered. Instantly convert PDF to Writer (ODT), Calc (ODS), and Impress (ODP) and work with others using MS Office alternatives. What's New In Version 12? Organize legal, medical and business PDF files with Bates Numbering. This latest version allows you to digitally label and index PDF documents and pages. Users can customize the sequence, formatting and ordering of bates numbering stamps across pages. Specify suffixes and prefixes with the click of a button and work with lengthy legal PDF files more efficiently.